People who sleep on their stomachs are really rare. Most people are side sleepers. Some more are back sleepers. The rest sleep on their stomach. That would be 7%. Not much, but they do prefer sleeping on stomach rather than on their side or back. And since they do, they certainly deserve the best mattress for stomach sleepers. Why exactly are you doing a review on mattresses for stomach sleepers but not back sleepers? While it’s true that there are more back sleepers than stomach sleepers, here’s one thing you need to realize: back sleepers are easier to please when it comes to mattresses. I know it sounds ridiculous, but there’s some truth to that. Have you ever had to lie on the floor? If the answer is yes, then you know that the most comfortable position for that is on your back. Not on your stomach, and certainly not on your side. And that’s why I’m not writing a review on mattresses for back sleepers specifically. Are stomach sleepers really that special? To answer this question, we need to understand the mechanics of sleeping on the stomach. What happens to you and your spine when you’re sleeping that way? First of all, you can’t just fall asleep in any position on your stomach. The reason is simple, you need to breathe. If you just lie down on your stomach, face downwards, you wouldn’t be able to relax because of the lack of oxygen. You’d have to either turn your head to the side or bend your neck, so you’d be resting on your forehead. In either case, your neck is really stressed as it is. That is what makes stomach sleepers special. And this is the reason, why it is so hard to find acceptable mattresses for them. What kind of mattress would stomach sleepers need, then? A lot of stomach sleepers’ pressure points (those would be kneecaps, ribs and such) are generally not accustomed to pressure. Add to that the fact their necks would need all the support they can get, and we have an idea. A perfectly medium mattress would not work for a stomach sleeper. As for those for whom they do work, those people don’t really need my advice or anybody else’s when it comes to mattresses because they would be comfortable, perhaps, everywhere. A soft mattress might sound like a good idea… Until you realize that because of that the neck of the stomach sleeper would bend even more. One of the best firm mattresses, then? Well… Yeah. But it’s more than that. What a stomach sleeper needs are support and pressure relief. So, generally, a memory foam mattress would be the best choice for them. 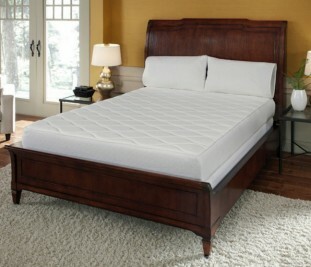 Although some might prefer latex or any other type of mattress, depending on the mattress’s quality and performance. Anything else I need to know about stomach sleepers? More often than not, stomach sleepers need special pillows. At least, such pillow wouldn’t hurt them. There are all kinds of pillows for stomach sleepers on Amazon.com, including pillows for pregnant women. This is a hybrid memory foam/innerspring mattress. What you need to know about it is that it comes with a box spring. Of course, it’s not cheap because of that. But it does work for stomach sleepers. Too bad it comes in three sizes only: King, Queen, and California King. The Cool ActionTM Dual Effects® Gel Memory Foam is, of course, good for making sure you won’t have to experience overheating at night. Gel-infused, it’s just the way it is. But there’s one thing more important than that, and that’s the support. Like with any memory foam, this mattress cradles your body perfectly. It’s just how it’ supposed to be for stomach sleepers. 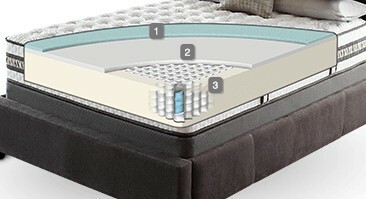 The mattress conforms to the outlines of the sleeper body, perfectly relieving pressure points. And it’s more than that. Let’ not forget about the springs. Or the Coil-in-Coil Support System, as it’s called. Despite what some people might think, the coils are not interwoven, they are pocketed individually. Of course, being pocketed coils, they are good for reducing motion disturbance. But what really got to me is that the edges are reinforced. Or rather, have a foam encasement to prevent them from collapsing. 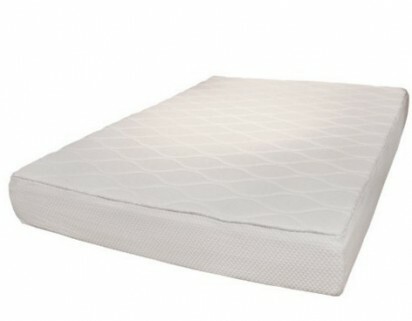 If you’re a stomach sleeper and would like to obtain this mattress, you can do so on Amazon.com any moment. This mattress comes in four sizes: Twin, Full, King, and California King. A little bit more than the previous one but not by much. As far as stomach sleepers are concerned, it’s perfect for those who prefer a great deal of support. This is a memory foam mattress, not a hybrid one. It is exactly ten inches thick. Of course, the mattress is not made of memory foam alone. The bottom layer (6 inches) is made of basic foam. Of course, it’s dense and resilient, but that’s not memory foam. The rest of it, however, is. It’s two more layers: a quilted memory foam layer for even more comfort and the support layer. All in all, the mattress is rather cheap for a memory foam mattress. Just like any other memory foam mattress, this mattress literally molds under your body’s weight and temperature. The hotter it is, the softer the foam is. The more pressure is applied to it, the softer it is. That’s exactly what stomach sleepers need. 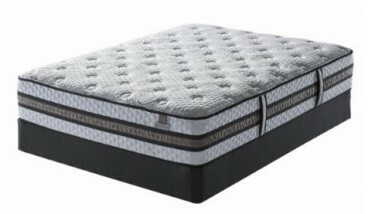 The memory foam cradles your body and relieves pressure points. Just the thing you need. You can order this mattress on Amazon.com right now. Another mattress that comes in four sizes. This time, those would be Twin, Full, Queen, and King. It is an innerspring mattress. The reason as to why I’m including it in this review is that it is very inexpensive. Even for an innerspring mattress. At the same time, it does work for stomach sleepers. The mattress doesn’t really have all that many pocketed coils. There’re a lot of mattresses that easily have up to a thousand of them and more. And yet, it is a good mattress. 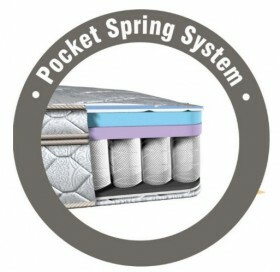 Again, a pocketed coils mattress. Just like all of them, this mattress is good at reducing motion transfer. However, there’s no additional edge support. So, if you sit on the mattress (or move close to its edges) the edges will collapse under the pressure you create. But it’s not just the motion transfer it reduces. It also reduces pressure points. And that’s what I think is much more important. The coils compress under the sleeper’s weight individually, and thanks to that the support they are capable of providing, while not exactly memory foam-like, I still good enough to do what’s supposed to do. If that’s sounds interesting to you, don’t waste your time and order this mattress on Amazon.com as soon as possible. This isn’t a memory foam mattress, but it’s made of regular foam instead. This mattress comes in six sizes: Twin, Twin XL, Full, Queen, King, and California King. The mattress has a medium feel to it. But due to the fact is foam, that’s only compared to other types of foam mattresses. As far as mattresses in general go, it’s firm. And it’s not bad for stomach sleepers. In fact, it’s good. And it doesn’t cost all that much. This is a bouncy mattress. Amazingly, despite the fact it isn’t memory foam or pocketed springs, the motion transfer is reduced. Getting on and off the bed has never been easier. More so with the sloped edges. However, those same edges make it easier to just slip off the mattress. But if you really are a stomach sleeper, that won’t be much of a problem to you. Don’t waste your time and order this mattress on Amazon.com. But be advised, since it’s not a memory foam mattress, it inflates really fast. Don’t forget about that. And here it is! I give you the mattress number one. I’ve already done reviews on this one. As far as I can remember, I once said (in the very first review if my memory serves me correctly) that this is a mattress for all types of sleepers. And that, obviously, includes stomach sleepers. The mattress is not cheap. But it’s a latex mattress, so there’s no big surprise. And it is a very good purchase for the price, actually. The mattress is made in America and Belgium. But it’s sewn in America only. As I’ve just said, it’s a latex mattress. The top layer is made of Dunlop latex. There’s also some memory foam in it, supposedly, but latex is what’s more important. 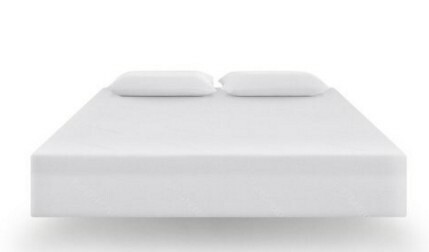 You cannot flip this mattress, or rather, you can but it’s pointless since you don’t the top layer at the bottom and the bottom one at the top. But you still can rotate it. The whole idea behind the Casper mattress is that it should be perfect for everyone. So if you’re a stomach sleeper but you don’t know anything else about mattresses and sleeping, you don’t have to worry. 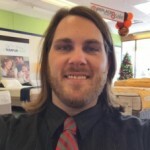 All you have to do is follow this link and buy this mattress on Amazon.com. It’s that simple. There’s not too many stomach sleepers, percent-wise anyway. But mattresses for them are available, and that’s what’s important. I’ve done a review on 5 mattresses, but there are more. 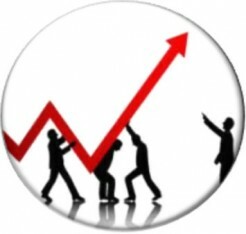 Just visit Amazon.com and you can get there whatever you need, if what I suggest to you isn’t the best in your opinion. As you can see, we’ve got all kinds of mattresses for stomach sleepers. So, while I do think memory foam and latex are best, it still doesn’t cancel the fact the other ones work, too. Unfortunately, I don’t know much about fibromyalgia. I do know some things about it but my scope of knowledge is not quite as extensive as I would like it to be. Have you used a memory foam mattress? I assume you have since you’ve mentioned Sleep Number but correct me if I’m off base here, please. Also, why did you sell it? Were you feeling uncomfortable or was it because of your husband, or something completely unrelated, perhaps? As for hot sleeping, most of the problems related to that can be alleviated without getting a dedicated mattress. Although a mattress that is cool to sleep on is a better choice. But then again, fibromyalgia is worse than hot sleeping in my opinion, so getting a mattress that would help you with that is still more important. I know it wasn’t very helpful but I looking forward to your reply. Perhaps, I will be able to help you after all. 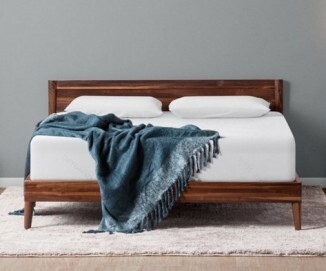 Previous What’s the best mattress for back sleepers?